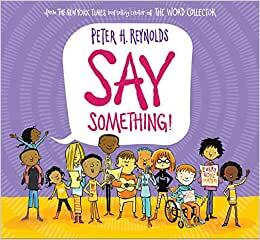 5.0 out of 5 starsAnother great book from Peter H. Reynolds! 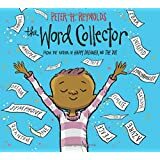 This book lives up to the expectations I’ve come to expect from Peter H. Reynolds. The artwork is beautiful and the colors are vibrant. Just by looks this is a fantastic book. I also like the message which is inspirational in depicting the different ways people can say something, and not always require words. The message is told through poetic text that is accessible to young readers, but valuable for all readers. 5.0 out of 5 starsSimply beautiful. This book is an important read. It reminds children (and all of us) was to be kinder and more inclusive in ways that speak to our individual differences. The artwork is thoughtful and beautiful. My daughter loved this book. She's fairly introverted and has difficulty expressing herself out loud. She was encouraged by the different ways in which her voice matters. She especially like the part where it said your voice didn't have to be loud, as this fits her personality. Just because you're not loud, doesn't mean you don't have something to say. The artwork was beautiful as well. She's looking forward to filling in the empty speech bubbles on the last page. 1.0 out of 5 starsIntersectional B.S. The pictures in this book are aimed at flipping a perceived power imbalance between white (particularly male) children and all other groups. This is a flawed and toxic ideology. Teaching children to perceive the world this way will have disastrous consequences for our society.